Do you have an area of carpet that is stained or worn beyond cleaning? Magic Touch Carpet Repair can remove problematic sections of carpet and replace them with a seamless match. Our carpet patching is done by experienced, certified professionals with the skills it takes to leave a smooth, continuous appearance in your carpet. You will be amazed at how undetectable our carpet patching can be! Call today for an estimate on your carpet patching in Scottsdale or the surrounding areas. As a local, family-owned business, we stake our reputation on each service we provide, one customer at a time. We take pride in the craftsmanship we provide. All our work is done by our own highly-trained technicians—no outsourcing to unknown individuals. It is this level of dedication to excellent service and customer care that has driven the majority of our business for more than a decade. Since 2006 we have grown largely by the referrals of our happy customers. We believe in building long-term relationships with customers who know they can rely on us for all their carpet care needs! Accidents happen. You may have had an iron fall on the carpet and leave its scorch mark behind. You may have an area the dog or cat just won’t stop peeing on. Someone may have spilled bleach or the sun has unevenly faded a section of carpet over the years. All of these scenarios can create the need for our carpet patching service. We can match a nearly inexhaustible selection of carpets. We match the color, pile, texture, and weave to complete a seamless look. We guarantee our work, so you are sure to be happy with the carpet patching results. 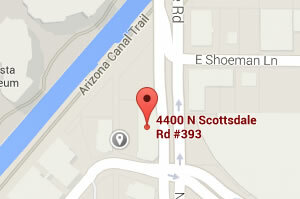 Call today and ask our friendly professionals about carpet patching in Scottsdale. We can make same-day appointments for your no-pressure estimate on any type of carpet repair.